Washington: The Federal Reserve held interest rates steady on Wednesday but said it would be patient in lifting borrowing costs further this year as it pointed to rising uncertainty about the US economic outlook. While the Fed said continued US economic and job growth were still “the most likely outcomes,” it removed language from its December policy statement that risks to the outlook were “roughly balanced” and struck language that projected “some further” rate hikes would be appropriate in 2019. In a separate release from its policy statement, the US central bank also said while it was continuing its monthly balance sheet reduction, it was prepared to alter the pace “in light of economic and financial developments” in the future. The Fed said in that same document that it had decided to continue managing policy with a system of “ample” reserves, a signal that its balance sheet rundown may end sooner than expected. Taken together, the two documents were meant to convey maximum flexibility from a central bank buffeted in recent weeks by financial market volatility and signs of a global economic slowdown. US stock markets extended their gains following the Fed’s statement, and bond yields dropped as investors gauged the language adjustment as signaling a low probability of additional rate hikes any time soon. The dollar weakened against a basket of major trading partners’ currencies. 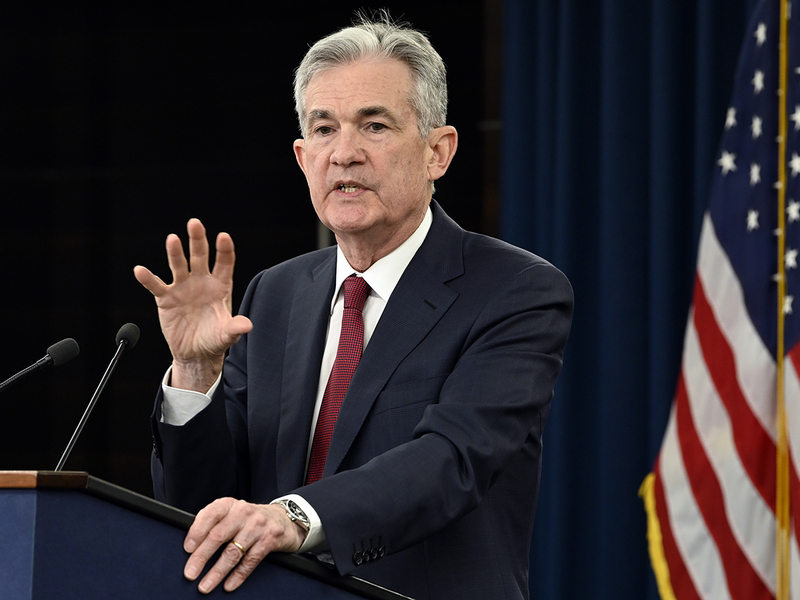 “In light of global economic and financial developments and muted inflation pressures, the committee will be patient” in determining future rate hikes, the Fed’s rate-setting committee said in its policy statement after a two-day meeting. The Fed made no change to the $50 billion monthly runoff of Treasury bonds and mortgage-backed securities from its balance sheet. Some traders have urged it to slow or halt its pullback from the bond markets, at least for now. “Overall this signals the Fed will not be on autopilot going forward,” said Justin Lederer, Treasury analyst at Cantor Fitzgerald in New York. Fed Chairman Jerome Powell is scheduled to hold a press conference at 2:30 p.m. (1930 GMT). The economic outlook, however, has become more clouded as a result of recent volatility in financial markets and signs that growth is slowing overseas, including in China and the euro zone. There are also fears the 35-day partial shutdown of the US government may crimp consumer spending. The Fed on Wednesday left its overnight benchmark lending rate in a target range of 2.25 per cent to 2.50 per cent. The slight downgrade in the Fed’s language around rate increases included a change in its description of economic growth from “strong” to “solid,” and it noted that market-based measures of inflation compensation have “moved lower in recent months.” The Fed’s policy decision was unanimous.